This long boot provides protection against skin breakdown. 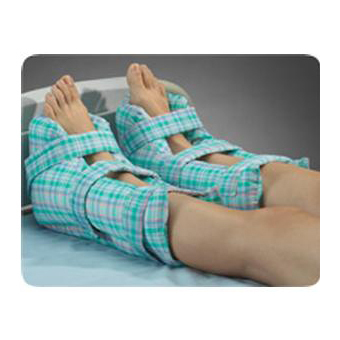 Comfortable and resilient synthetic fur boot covers patient's heel, leg and ankle upto mid-calf. Features hook and loop fasteners for quick and easy application, ensuring secure fit. Helps offer greater calf support while helping to protect delicate skin. Soft cotton/polyester fabric minimizes the risk of friction and shear. Comfortable hollow core micro-fiber filling. Opening for increased heel ventilation.